As an experienced agent, Karen understands that buying and selling is one of the biggest decisions in a client’s life and views representation and guidance of her clients through this process as a true privilege. She understands that buying and selling real estate can be stressful. As a full-time Realtor, she will work hard to lower your stress level and make your experience as pleasurable as possible. 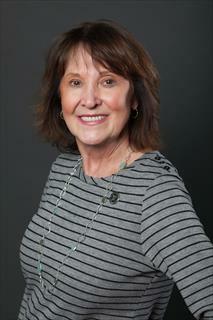 She brings a strategic yet personable approach to the home buying and home selling process. Karen has built a reputation for her refreshingly friendly customer care and proven ability to guide buyers to obtain the best value for their dream home and to assist sellers to a smooth, stress-free sale of their home. Karen understands what it is like to stand in her clients’ shoes. Relocating several times, 20 years of military moves then a couple of corporate moves – buying and selling houses of her own – has afforded Karen a sensitivity towards her clients’ journey, which can be attributed to the first-hand perspective she gained through her personal experience. As your Realtor, Karen will be an advocate for you. Whether you are buying, selling or renting, she will work tirelessly to promote your best interests. If you are buying, she will work hard to provide you with the best information and market data to inform and assist you so you can be a well-equipped buyer with the strongest possible negotiating position. If you are selling, she will work with you to get you the fairest price, in the least amount of time, by using state-of-the-art technology, team collaboration and Berkshire Hathaway’s superior marketing materials.